Pachycephalosaurus was one of the last non-avian dinosaurs before the Cretaceous–Paleogene extinction event, Pachycephalosaurus was a bipedal herbivore with an extremely thick skull roof. It possessed long hindlimbs and small forelimbs. 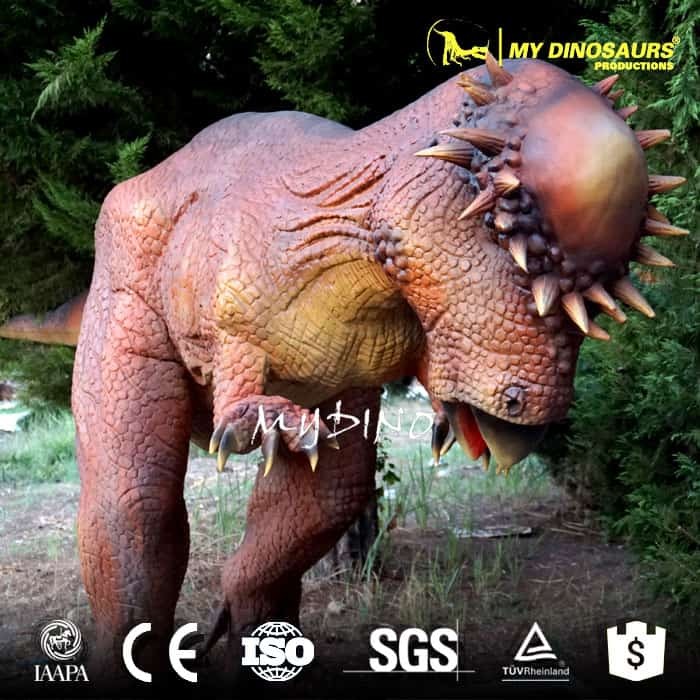 Placing a Pachycephalosaurus in dino park or museum must catch many people’s eyes.